This is a big boy ride! BILOXI, MS (WPVI) -- It's the ride that runs on smiles. A car collector in Biloxi, Mississippi said he was inspired after stumbling upon a supersized Radio Flyer wagon being built online. 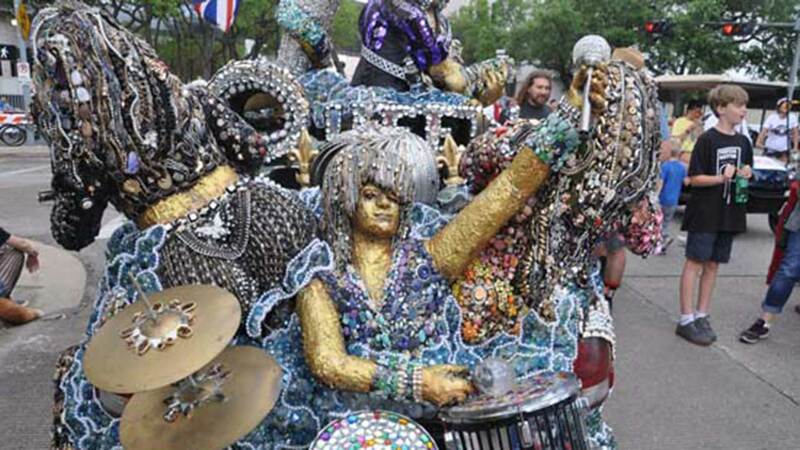 On April 9, 2016 nearly 250 jaw-dropping cars, bikes, skaters, and motorized creatures will roll along Smith Street in Downtown Houston, making it the largest gathering of its kind in the world, and one of the biggest annual events in Houston. This weekend, Ted Mangum rolled out his own version for a ride down the coast and a great many more people inside. Mangum said he converted an old ambulance into the motorized wagon, gleaming bright red in the sun. "All I ever had in mind when I built it was bringing it to Cruisin' the Coast, riding up and down the beach, and I'm having a ball with it," Mangum said. "I've owned almost every kind of car that you can own, but I've had the most fun with this in four years than all the rest of them put together." He's mum on whether it runs on gas or diesel, but frankly, does it matter? We just want to climb aboard this Red Flyer! 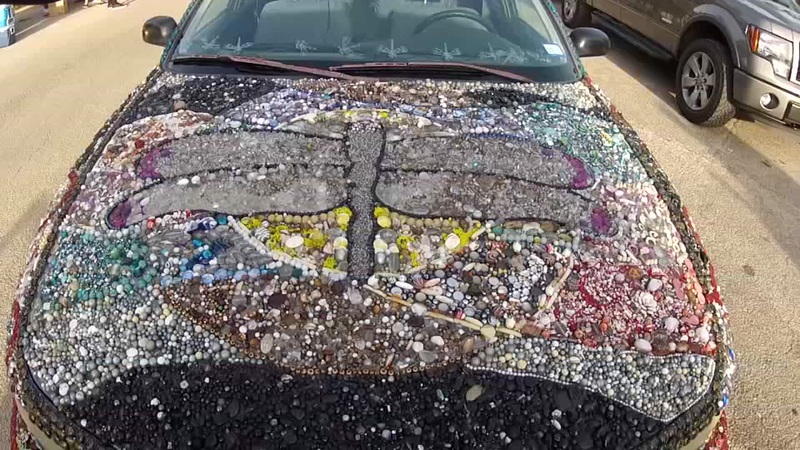 A car made for jet setting goes on display at the Art Car Parade. 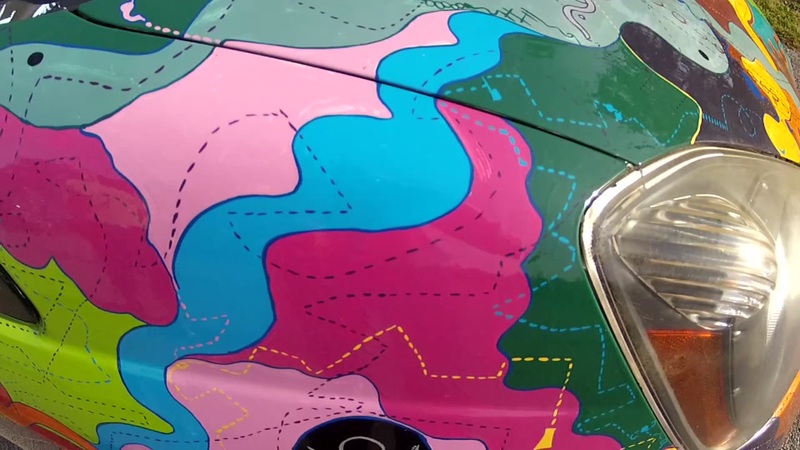 The Space and Time art car is one of the unique and creative sets of wheels that'll roll through downtown Houston Saturday. 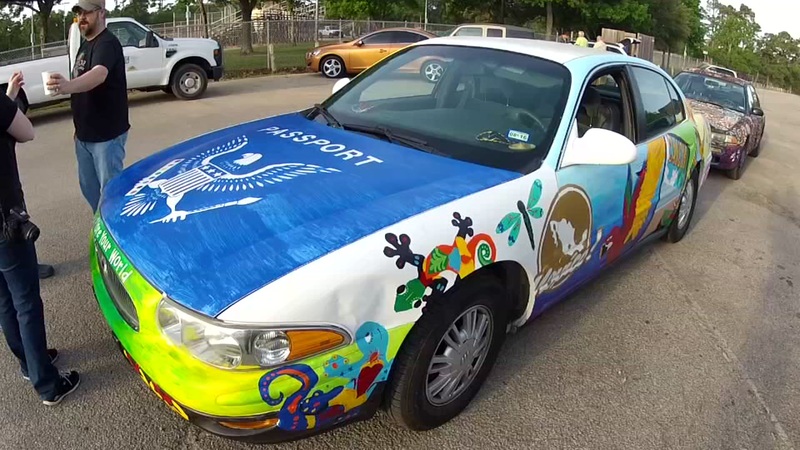 The Dragonfly art car is one of the unique and creative sets of wheels that'll roll through downtown Houston Saturday.